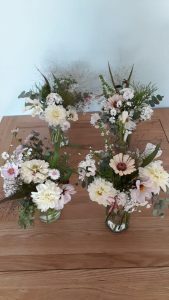 Bonterre grows flowers to order for customers such as Croome Park and local florists. 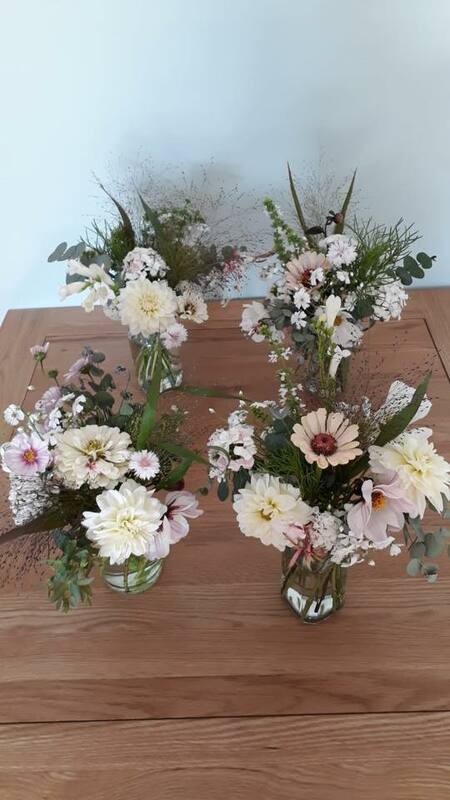 We also sell direct to the public and create lovely bouquets for weddings and other events. 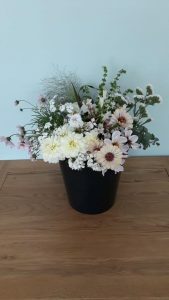 We can supply flowers ready arranged, in a mixed bucket or you might want to come along to one of our flower arranging days where you can work with our experienced horticulturalists to pick and arrange your own perfect bloom. What can you make from 1 bucket of Bonterre Blooms? Each bucket contains a minimum of 60 stems of a range of different flowers and foliage. 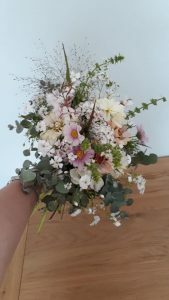 From this bucket of neutral coloured flowers we made a handtied bouquet, then to show you the possibilities, we took it apart and made 4 jam jar posies. We’d love to see what you choose to make with yours! £20 per bucket, with profits going to support the project. Contact us for more details. Colours and content will vary, but we’ll do our best to suit your taste.